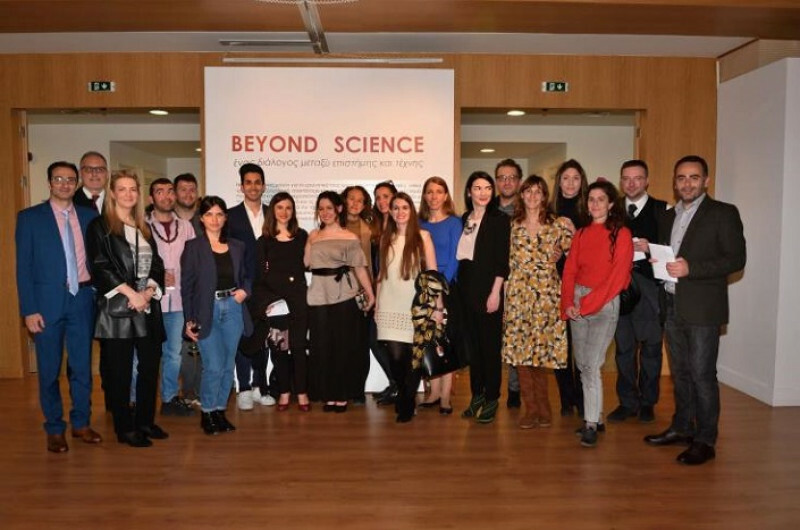 Excited that MEDinART has participated in the exhibition BEYOND SCIENCE, organized by the Embassy of Cyprus in Greece (House of Cyprus) and the A.G. Leventis Foundation Scholars Association, Athens-Greece. In the frame of this exhibition, a video was screened that includes 222 artworks from the artists of MEDinART (2015) as well as selected artworks from the following artists of MEDinART: Peggy Kliafa, Tolis Tatolas, FAME Laboratory and Vasia Hatzi (LaB. Bio-conceptual Creations). 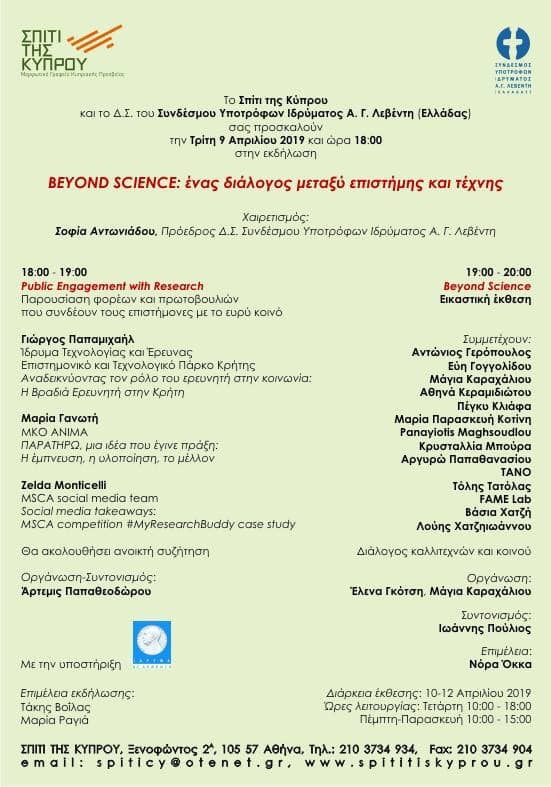 FOR MORE INFO CHECK HERE (article in Greek).